The perfect compliment to Springs or Coil Overs! The new Ford Focus RS MK3 2.3 Eco Boost Eibach Anti Roll Bar Kit has now been released after months of testing. With 2 way adjustment on the rear bar allowing further fine tuning for your driving style. Check out the video below showing the improvements the set up made on a stock RS. The Pumaspeed Workshop team are ready to fit the MK3 Focus RS Anti Roll Bar Kit By Eibach in our Head Office located here. Therefore making parts and labour a total cost £561.61 (inc. VAT). 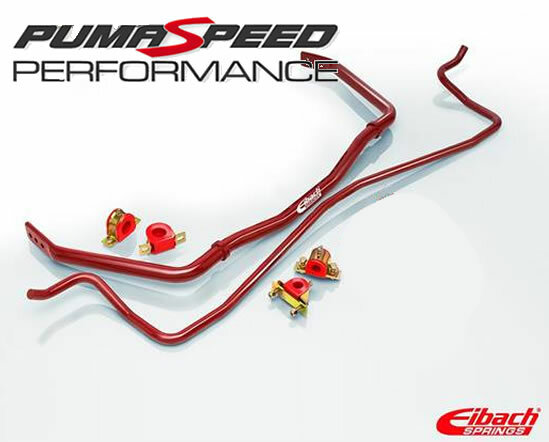 Pumaspeed have a specialist distribution team that can dispatch the MK3 Focus RS Anti Roll Bar Kit By Eibach to any destination worldwide.